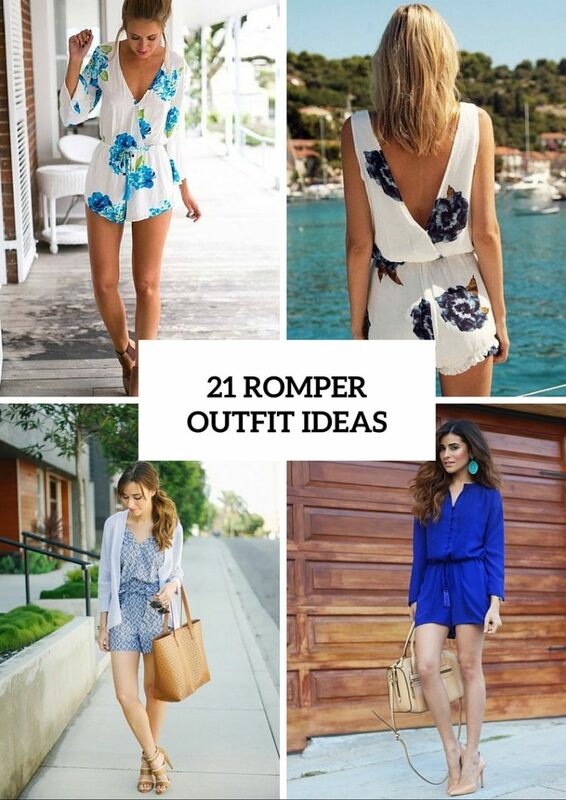 Rompers are very comfortable, airy and chic clothes for this summer! And you should pay attention to various types of rompers and find out how you to wear them. Maybe you have a question: what’s the difference between jumpsuits and rompers? So let’s try to find an answer! First of all, I’d like to remark that they both consist of a top and a bottom. But the main difference is the length of pants: jumpsuits usually have long pants, rompers have shorts or even skirts on the bottom. And as you know rompers have something like a t-shirt or blouses with short or long sleeves on the top. 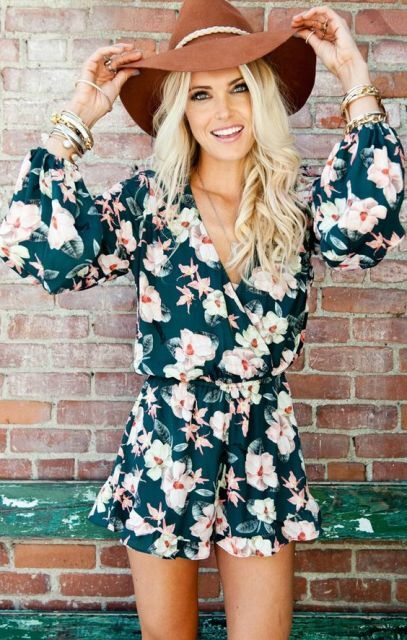 Today you have a great choice of various rompers! 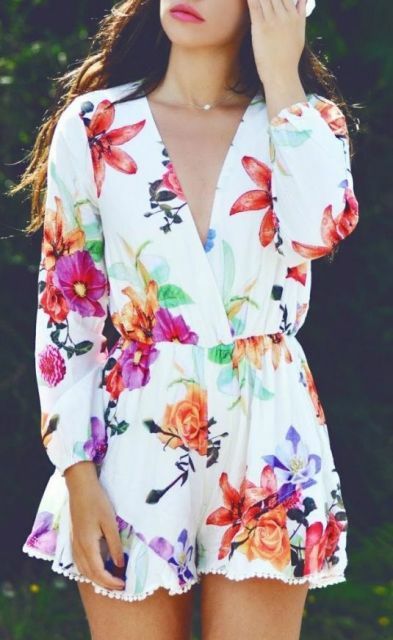 If you like printed clothes, you can choose gentle floral rompers (you can find flower print that you wanna, for example, red roses, pink peonies, greenery, etc.). For a funny and colorful look you can pick up fruit printed rompers, for example, have a look at a pineapple print romper below. It looks fantastic! Of course if you like plain clothes, you can choose any color you want from white to green. For a beach look you can combine a romper with wide brim hat, flat or platform sandals, sunglasses and a big beach tote. 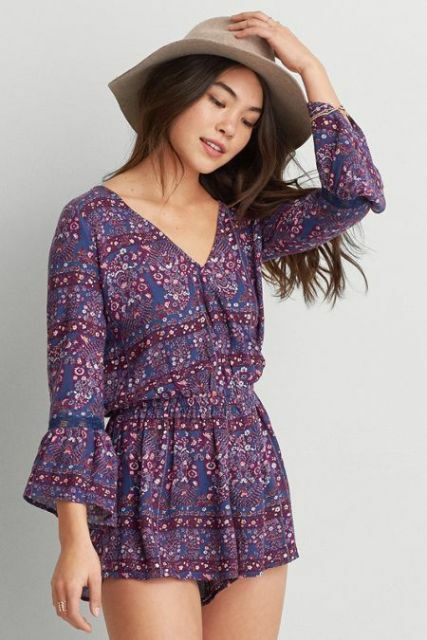 If you wanna create a boho chic look, you can try to add tassels or fringe crossbody bags, headbands and necklaces (they will be perfect if your romper has a V neckline). Now scroll down for more summer cool and fresh ideas! Be feminine and enjoy!